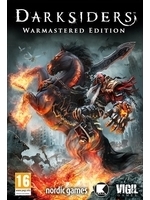 THQ Nordic has released today Darksiders: Warmastered Edition for Xbox One and PS4, with 4K/60fps support for the latter. The PC version will be out next week while the Wii U version will follow later. Check the 4K launch trailer inside to see how Vigil's 2010 title looks now in its remastered edition.